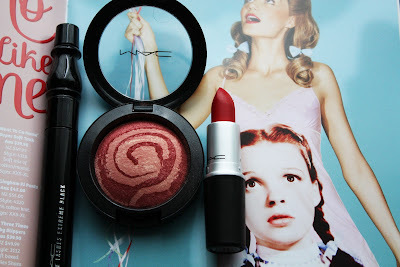 So last month was my birthday & I was lucky enough to be given some MAC vouchers by a couple of my friends. It took me a little while to decide how to use them (in an ideal world I'd want ALL the MAC things), but I'm happy with what I ended up purchasing. My birthday MAC treasures. They've got Dorothy's seal of approval too. 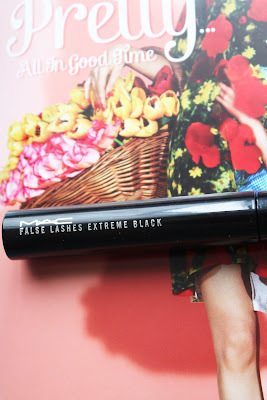 False Lashes Mascara in Extreme Black, $48. 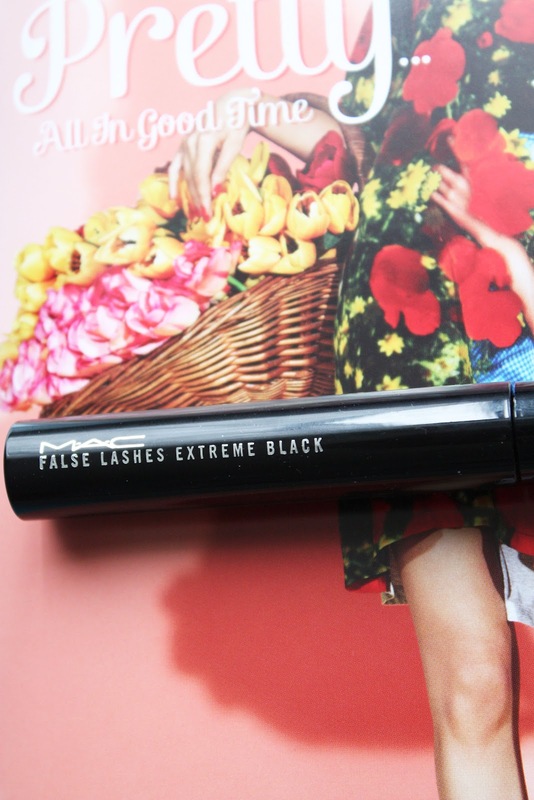 Firstly, Extreme Black is a new version of the original False Lashes Mascara. To be honest I don't notice too much of a difference but I thought I'd try it as it was the same price as the original. This mascara is one of my favourites & I've repurchased it twice now. It leaves my lashes looking fuller & lengthened. Two coats is usually enough for me but 4 can often look amazing as well. It is easy to apply but be warned, it smudges very easily. Other than that I love it. Mineralize Blush in Ring of Saturn (LE), $54. This blush was released as part of the Heavenly Creatures collection a couple of months or so ago. It is described as a gold-shimmered coral red with warm undertones. Once on the cheeks it is more of a rose pink colour. This blush is super pigmented though so I usually only run my brush through the powder once per cheek. 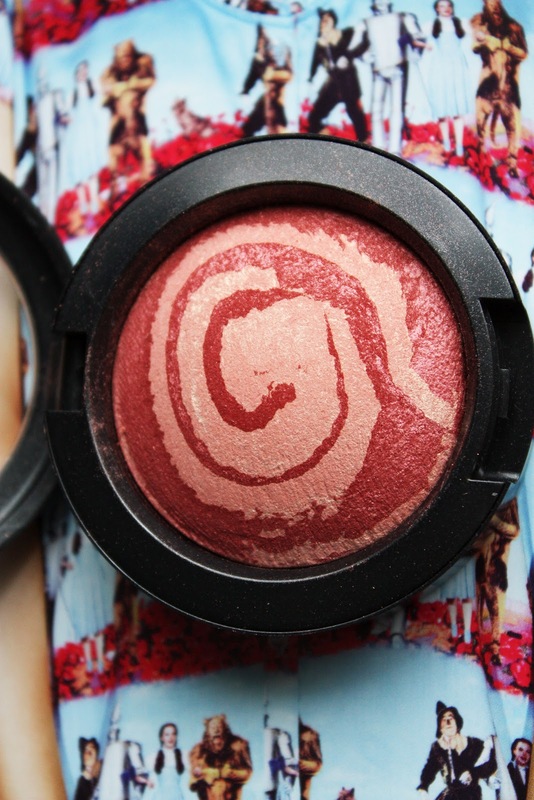 It looks gorgeous once applied & gives the cheeks a warm, shimmery glow. Retro Matte Lipstick in Ruby Woo, $40. 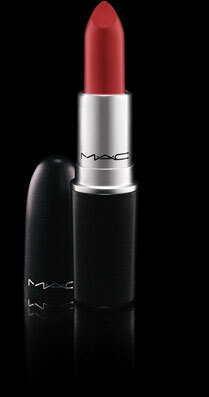 This is one of MAC's cult classic reds along with Russian Red. As it is matte the colour isn't too sheer & once applied it is a deep red on the lips. I haven't worn this a lot yet as I purchased it a couple of weeks ago but I can see it become a staple in my makeup bag. Sometimes matte lipsticks can be a bit drying so it's best to apply a lip balm or lip conditioner first & then lightly blot it before applying your lipstick. -All photos are by me except #4 which is from MAC's website. The backgrounds are from Peter Alexander's latest catalogue. -All pricing is in New Zealand Dollars.